Ally’s 10 year old Birthday/FUNdraiser at Orbit Skate was a HUGE SUCCESS!!!!! Words cannot express how grateful we are to all those who attended, donated and/or send Birthday Wishes!!! THANK YOU SOOOOOO MUCH!!! Ally turning TEN is a huge blessing and to celebrate with over 120 friends (and a few family members) really was incredible. We understand that some were unable to make it for different reasons, but hope you will consider joining us next year! 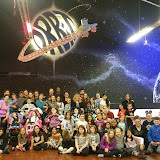 This was our second party at Orbit Skate where Ally could roll around with her friends and family and we hope to continue it every year that we are blessed to celebrate with more and more people each year! Thank you to all that helped with the party and donations for the raffle too. Check out this great Cake donated by Tee Tee’s Sweets & Treats as part of Icing Smiles, Inc.! Thank you soooo much!! Thank you to Mama K (Kathy Kosla) for helping immensely with raffle donations and running the raffle!!! Thank you also to Michelle Denic for helping and donating bows. Also, thanks to Carrie Grant Kelleher for Cubs Tickets and Painting ticket. Thank you to Barbara Ries Murphyfor Josi’s Frozen Yogurt Cafe donation. Thank you to Christinith Fedor , Sam Holloway (Chicago Fire Dept shirts), Harlem Irving Plaza and anyone I’m forgetting. Also a BIG thanks to those who bought raffle tickets. $531 was raised on the raffle alone. The donations to Ally will help with the some of the costs associated to traveling and staying in Cincinnati for her spine surgery on March 16th, her monthly vitamins/supplements, other needs not covered by insurance, and special items and outings Ally enjoys! She also enjoyed opening several gifts from family and friends too!! Thank you again!! We had two gifts not labeled and hoping to find out who they are from – a Star Wars Blanket with Target gift card & a $100 cash donation in an envelope without a name. Pictures are limited due to lighting at the rink and it being so busy/exciting without enough time to take more. If you have any pictures, even of just your family, you are willing to share, we would love to add them to our picasa album. They can be emailed to tina@angelally.com. TIA. Tomorrow or today (depending on when you are reading this) is Ally’s TENTH Birthday!!!!! WOW!!!! This is truly a MIRACLE and a BLESSING for a child with SMA Type 1 (Spinal Muscular Atrophy). As many of us have said, we can learn soooooo much from Ally. She is an angel on earth teaching us lessons about the true meaning of life, friendship, love, courage, kindness, faith and soooooo much more!!!! Although Ally is not able to move her body much at all and does not talk with words (but her eyes and a computer), she is a happy girl with tons of friends and family that care about her so much. We are blessed to have her a part of our lives and she is blessed to have all of you! 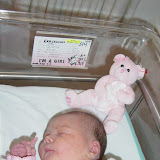 There are so many emotions that I have when I think of the last 10 years of Ally’s life and look at pictures from birth till now (see PICASA album with more to be added from this year). Then there is the unknown future, but we have to cherish each moment and live life to its fullest whenever possible. We hope many of you can celebrate Ally’s TENTH Birthday with us at her Rollerskating Birthday/FUNdraiser on Saturday, January 13th at Orbit Skate from 4:30-6:30. It would be neat to even see some out of town family and friends, as this is REALLY HUGE milestone and BIG CELEBRATION!! Thanks to those who have already RSVP’d and/or donated prizes to the raffle table. Please try your best to RSVP by this weekend, 1/6/16 so we can give a tentative count to the rink and plan for pizza and cupcakes. Thank you again for everyone’s support, love and friendship over the last TEN years!!! It means the world to Ally and our entire family! !